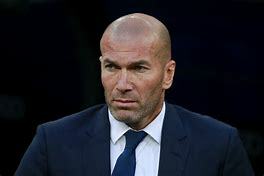 Former Real Madrid coach Zinedine Zidane has broken silence on the speculations linking him to Manchester United, according to report. Zidane would prefer a move to Italy to manage his former team Juventus over Manchester United if he returns to management. Previous reports claimed that the French tactician favours a move to Old Trafford, El Mundo says the Frenchman has no interest in such a move. Zidane wants a return to Juventus and has let it known he would be keen to succeed Max Allegri next season. It is suggested that Juventus have a plan in place, with the arrival of Cristiano Ronaldo a major step in making the deal a reality, Juventus is happy with the services of Allegri until the end of the season before appointing Zidane to form a tie with Ronaldo. down a move to Manchester United during Alex Ferguson era in favour of Real Madrid in the early 2000s.